Please fill out the form below to reserve your priority seating for our Sushi & Sake Tasting event on Thursday, October 18, 2018. All bottled sakes will be specially priced for that day only (at least 20% off) which you can always come in to use when you dine with us at a later date. Reservations start at 5pm. For the tasting, we will have 2 options: 1) $15 for 3 premium sakes paired with 3 pieces of sushi or 2) $25 for 3 top-shelf sakes with 3 pieces of specialty sushi. 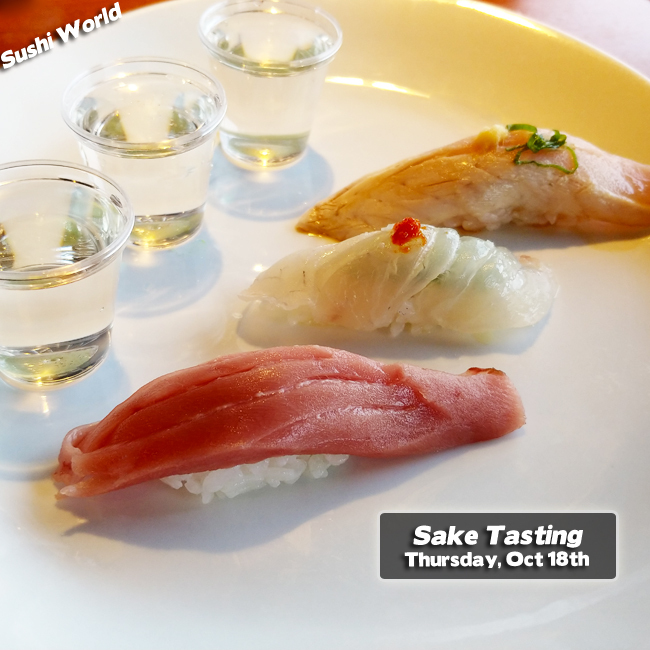 You can always opt to get both tastings but if you prefer a sashimi option, please let us know. And, of course, our full menu will still be available to those who choose to order more food.